There are few places in the world where fall is as gorgeous as it is in Sedona, AZ. And there are few better ways to celebrate fall in Sedona than with the Sedona Plein Air Festival. This festival is in its 13th year, and for 2017 will be taking place from October 14-21. Sedona Plein Air Festival is a week of all things art. Bringing together travelers, locals, and top-notch artists, this event allows participants to get in touch with their inner creative, and make their own works of art. 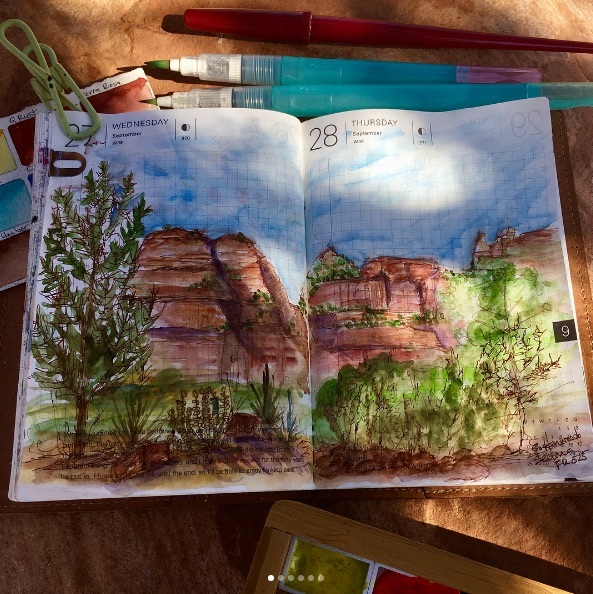 From exhibits to lectures; art classes to receptions, and much more, Sedona Plein Air Festival is not an event to be missed. One of the week’s top events is the Creekside Paint Out held at L’Auberge de Sedona on October 18. 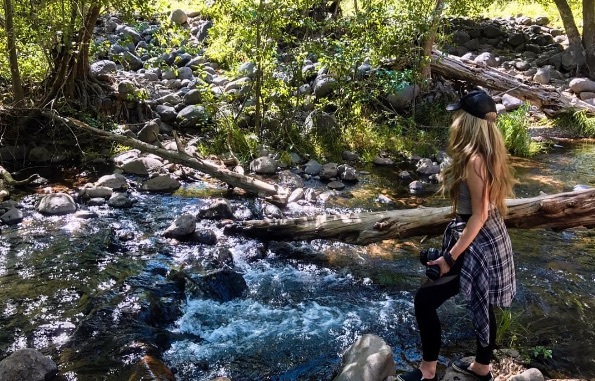 During this activity, artists will come together to create works of art that represent the beautiful Oak Creek Canyon. After the painting is done, an award ceremony will take place, and guests of the event may be lucky enough to leave with one of the artists’ fabulous masterpieces! Artists have brought work with them from their own terrain across the U.S. Come meet the 30 artists in this year’s festival and see their diversity of style and talent! Throughout the week integrating new work into SEG and Theatre Studio as desired. Individual Artists Demonstrations and mini-workshops to be scheduled throughout the week. The public is invited to watch artists paint both still and moving water, reflections, sycamores and ducks at this beautiful setting along Oak Creek. Awards and Sale immediately following at L’Auberge. Public Shuttle provided by Red Rock Magic Trolley from 9:30 a.m.–1:30 p.m. picking up in the Sedona Arts Center lower parking lot and shuttling to and from nearby L’Auberge Resort. Open to the Public. Joshua Been will give a digital presentation and talk about his personal journey as an artist. Wine reception following in our Special Exhibition Gallery. The public is invited to beautiful Seven Canyons to watch artists paint the afternoon and evening light as it carves out the red rock profiles. Artists will explore panoramic vistas from the Clubhouse, driving range, and views from beautiful Rachel’s Knoll. Red Rock Magic Trolley provides shuttle service between all the painting venues. Awards Ceremony and Wine Reception on the event lawn at 4:00 p.m.
Held at Sedona Arts Center’s Special Exhibition Gallery and Theatre Studio in the Historic Art Barn. Fine wine, fine hors d’oeuvre and fine art. This is the ‘big event’ artist’s awards are presented throughout the evening recognizing the best work created during the week including Best of Show and merit awards by Festival Judge Josh Been, Artist’s Choice Award, Collectors Choice by ballot and Sedona Arts Center Awards. For more information on the Sedona Plein Air Festival, visit the event’s website here.